Thirukadaiyur Abirami Temple at Nagapattinam in Tamil Nadu is famous for celebrating Shastipoorthi or the 60th birthday. It is believed that observing poojas, prayers and rituals here on the 60th birthday is highly meritorious. The main pooja is the Sashtipoorthi Puja. The popular belief is that Shiva had saved Sage Markandeya from Yama, the god of death, here and blessed him with immortality. 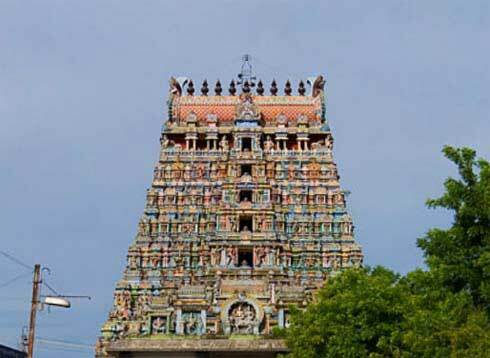 Thirukadaiyur Temple is known as Amirthakadeshwarar Abirami Temple – dedicated to Shiva and Parvati. Another important deity in the temple is Ganesha. Thirukadaiyur is located on the Mayiladuthurai – Karaikal Road.